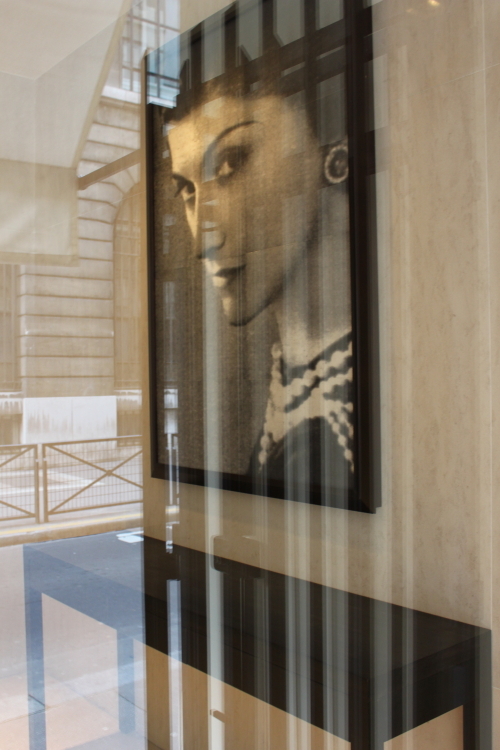 Coco Chanel had her workrooms above her shop on the Rue Cambon and an apartment on an upper floor (she didn’t actually live there, after she sold her Parisian house she slept at the Ritz just across the road from the shop). Despite my interest in Chanel and my many visits to Paris, until last year I had never been into Rue Cambon emporium, I found the idea of entering the hallowed portals daunting and it was so much easier to be ‘just browsing’ in a Chanel concession in a department store. Last October I was in Paris for an extended stay and often walked down the Rue Cambon; one day as I was passing the shop I simply thought why not and walked in – the world didn’t come to and end and no one seemed to care that I was wearing jeans. The shop is large and the polite, professional and black-clad staff were happy to let me browse. I bought a lipstick; I got lots of advice from a helpful assistant on which colour best suited my skin tone and my tiny Channel purchase was wrapped with as much ceremony as if I had invested in an expensive suit. Seems to me you’re right on both counts: tapping into the archetypal subconscious *plus* masterful marketing = enduring design genius. Someday I will get to visit Paris again, and despite my utter lack of fashion savvy I think it would be wonderfully fun to visit the shrine, as you have. I was there last week and had lunch at the little cafe opposite. Kathryn I hope you get to make that return trip to Europe soon. Debra we obviously like the same things – I too went to the cafe across the road from the Chanel shop. Lovely work! And it seems we have much more in common than just life through a lens: my have cities are London, Dublin and Paris as well.